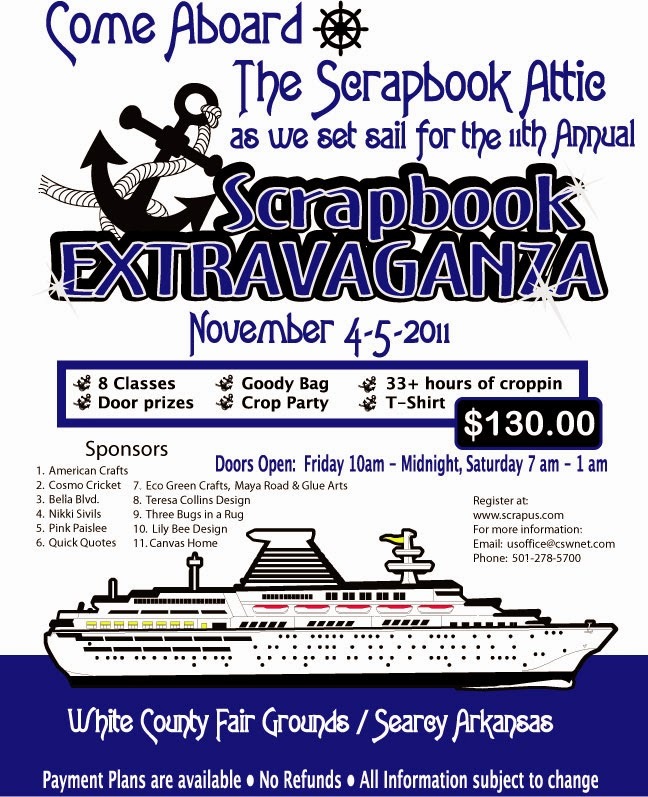 The Scrapbook Attic has hosted 16 Scrapbook Extravaganzas over the last thirteen years. The first Extravaganza started in 2002 with about 25 attendees and grew to over 400 attendees throughout the next 13 years. 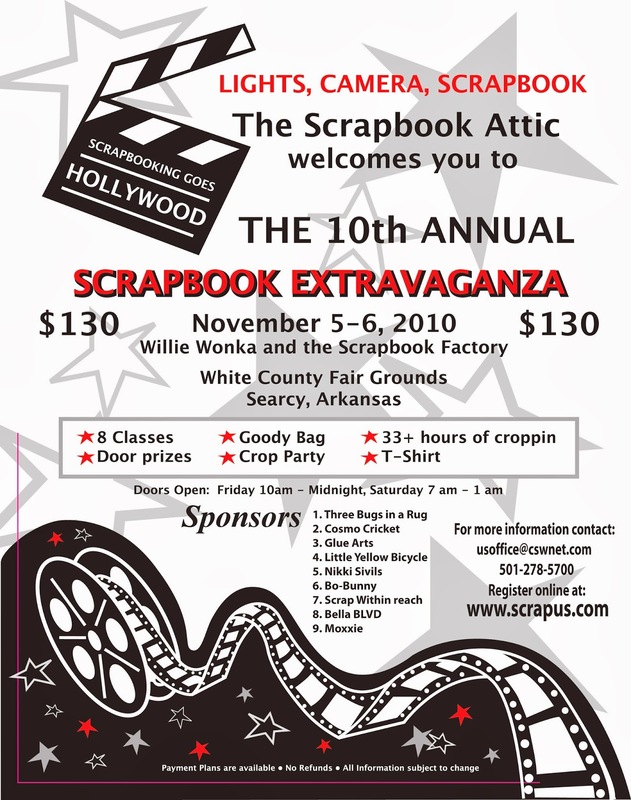 The Scrapbook Attic has returned to hosting the event once a year to allow The Attic Crew opportunities to host other events as well as The Scrapbook Extravaganza. 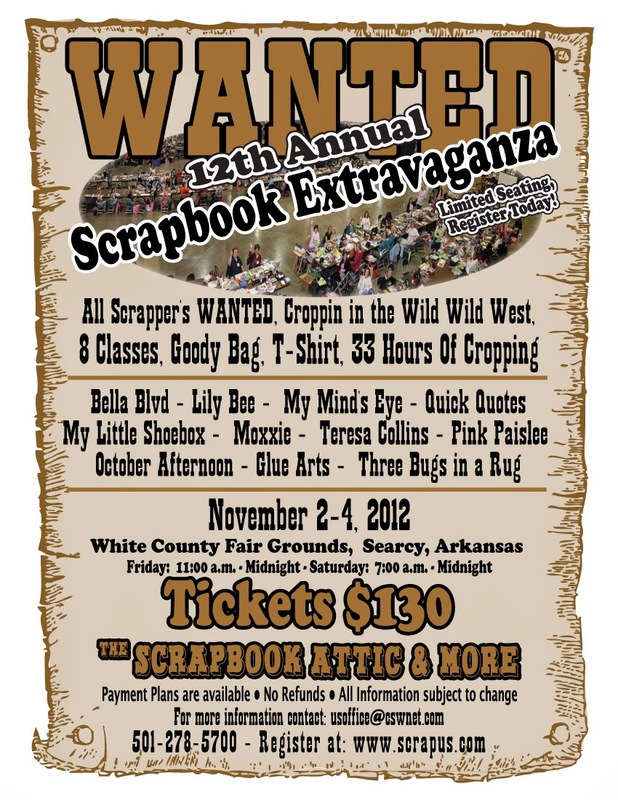 The Scrapbook Extravaganza happens each November on the first or second weekend and there is always a theme for the event. 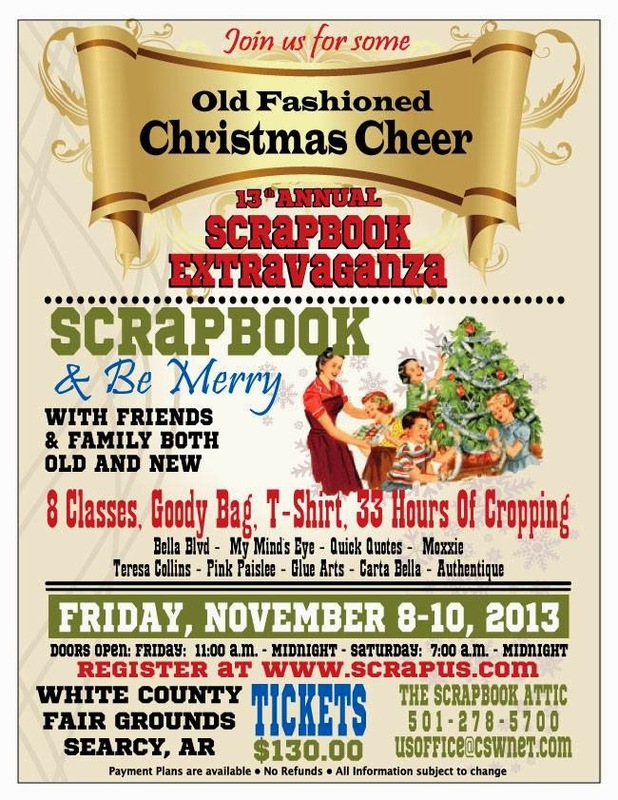 The Scrapbook Attic is honored to present this scrapbook event each year. 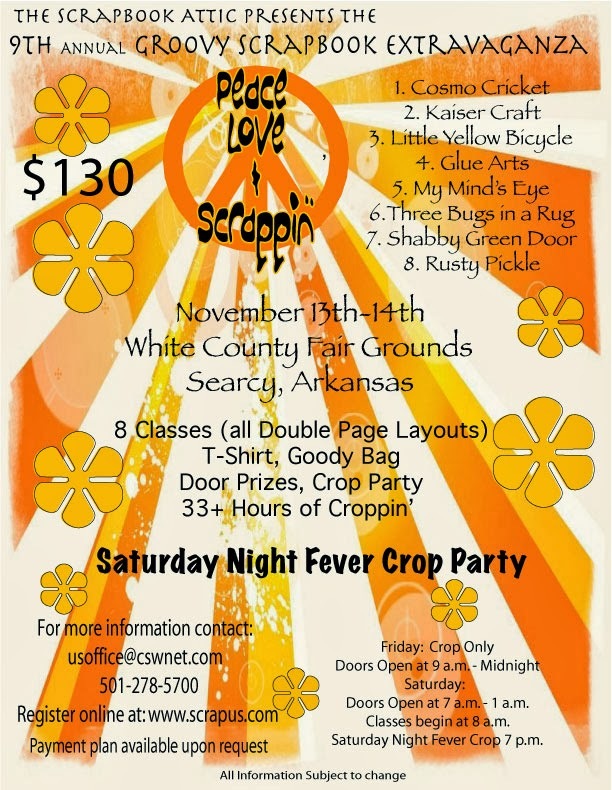 Visit our website to purchase your ticket or email The Attic with any questions. 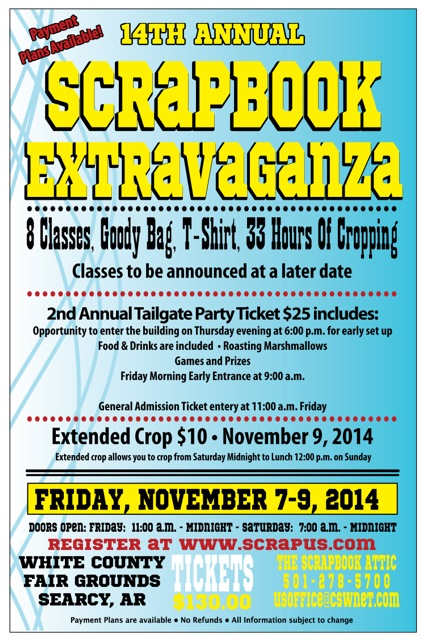 Take a moment to look at our past events and our upcoming 2014 Extravaganza.